Love Japanese Kanji Picture has the kanji for love (ai in Japanese) in black ink on a white gold edged board. Size: 24cm x 27cm / 9.5 x 10.5 inches. Can be used in conjunction with our scrolls to enhance the display of prized objects, such as bonsai or ikebana! Exclusive to The Japanese Shop and made in Japan - perfect for lovers! Perfect for lovers the Love Japanese Kanji Picture features the kanji script for love (in Japanese ai) which has been hand-painted in black ink onto a white gold edged board. Saren Nagata is a young Japanese artist and calligrapher (and good friend of The Japanese Shop!) who creates wonderful Japanese pictures with kanji characters. Suitable for use in traditional Japanese scrolls, or kakejiku, which are usually displayed in a room to enhance the display of prized objects, such as bonsai or ikebana. 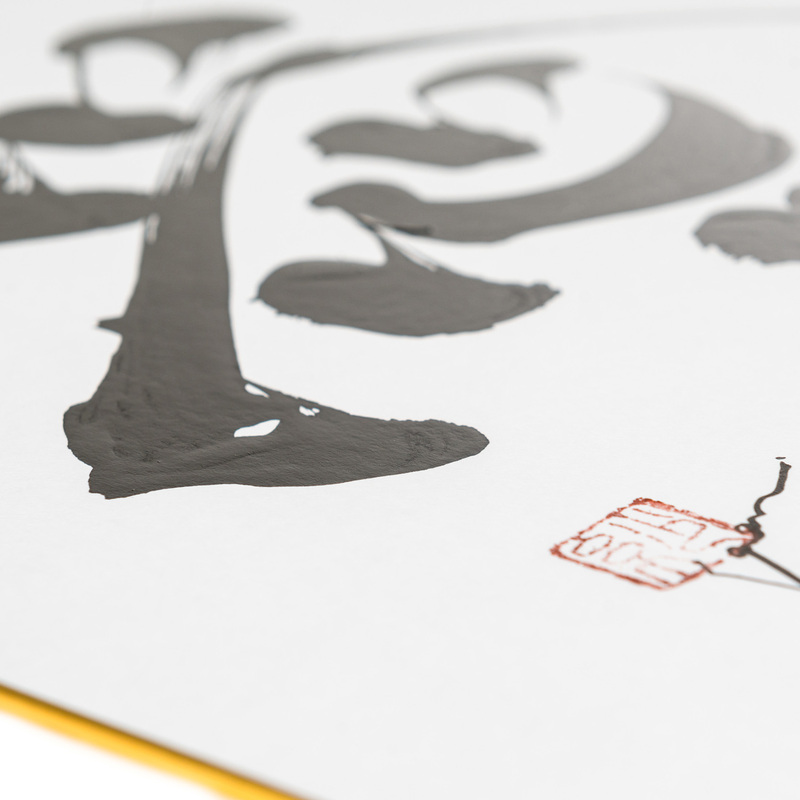 Exclusive to The Japanese Shop and made in Japan, the Love Japanese Kanji Picture is guaranteed to add a touch of style to any room! 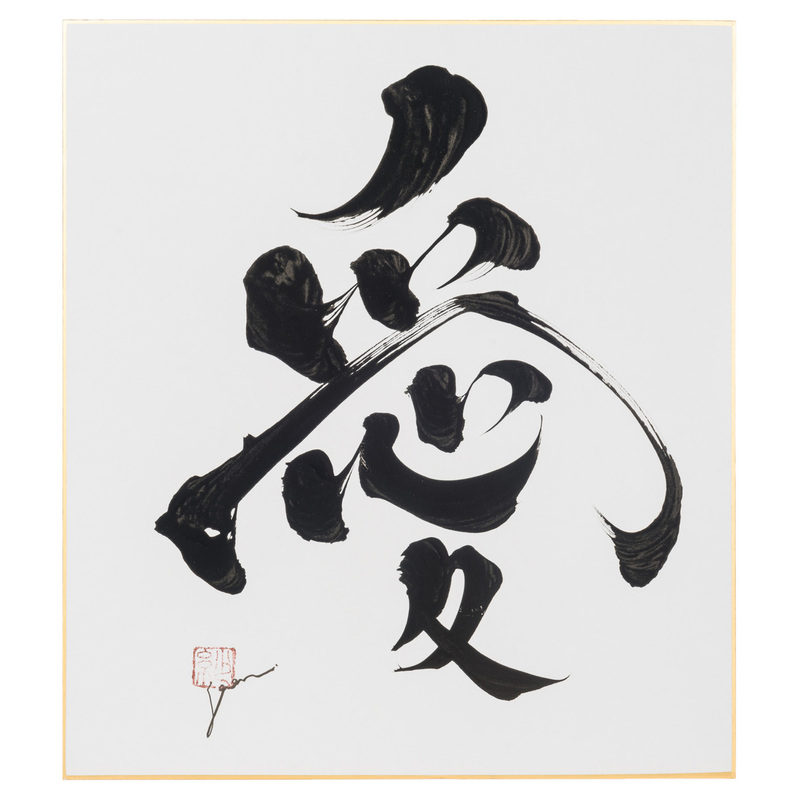 Order your Love Japanese Kanji Picture online today and have it gift wrapped free of charge, or visit our showroom for this and many more authentic Japanese pictures!